Thousands of mushrooms have begun popping up all over the forest in the last couple of weeks. 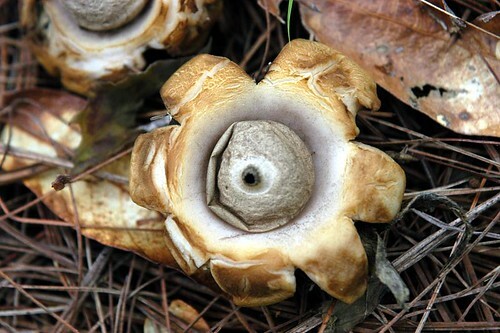 Four obvious mushrooms grow here in the forest that we can harvest to eat. There are a number of other mushrooms that are edible and those with experience sometimes harvest them for food or medicinal use. The first ones to pop up every year are the “Yellows” - Amarillos. 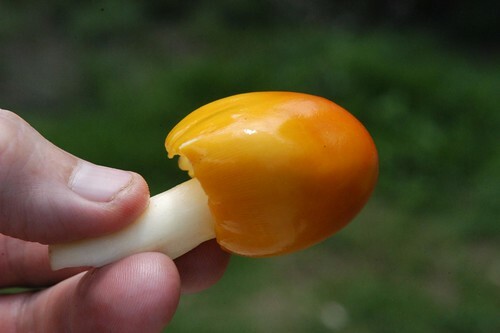 The scientific name is Amanita caesarea. Because other mushrooms in the Amanita family are very poisonous, if there is any question about whether we’ve got an amarillo or not, we don’t cook it up to eat. 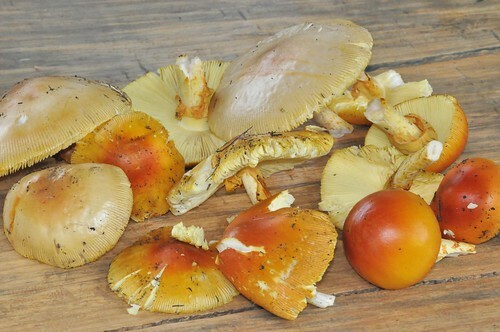 The amarillos are incredible to add to dishes for body and distinct mushroomy flavor. Around here people roast them on a comal to eat for a snack, letting them cool a bit before eating plain, with just a touch of salt. 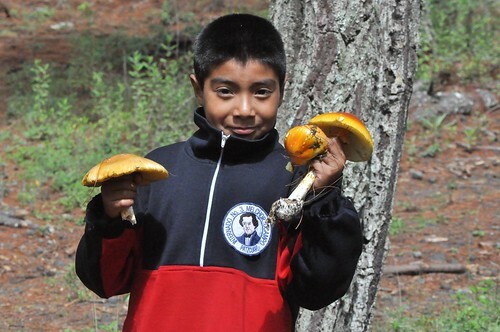 At the Bosque we try to spread the mushroom love as far as possible, so we add them to soups or send them to the Casita for folks to add to their eggs in the morning. The next edible mushrooms we expect to see are trompas. Trompas grow like crazy here. 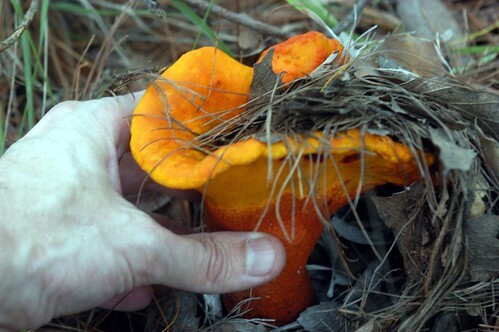 After a couple of rainy days it is easy to walk around and collect bags full of the bright orange goofy-shaped mushrooms (though, as wikipedia mentions, this mushroom is not a ’shroom at all, but a parasite that grows on mushrooms). And apart from the edibles, hundreds of other mushrooms are all over the place. Some prefer to grow under the pines, others under the oaks. Some grow on trees, others on the ground. The beginning of mushroom season is our final sign of life returning to the forest after months without rain. 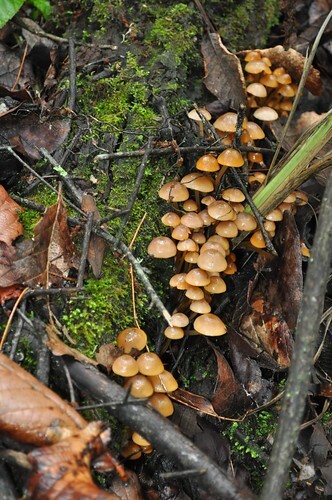 We welcome the forest fungi! 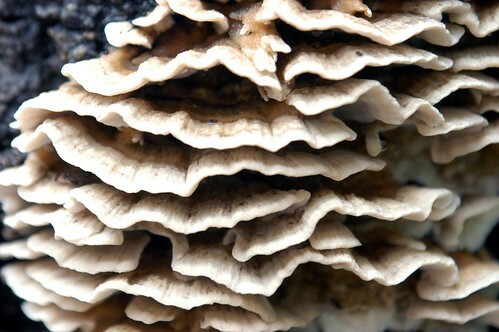 Read about the list of mushrooms at the Bosque here. 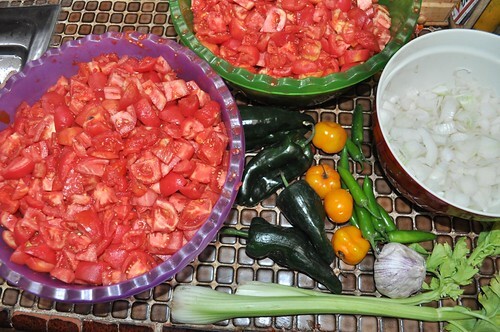 Tomatoes are in season. 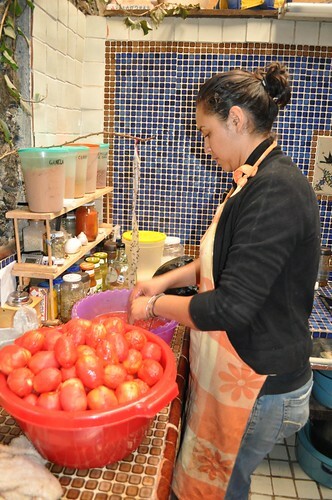 This means they are cheap - as little as 3 pesos per kilo (about 10 cents per pound). 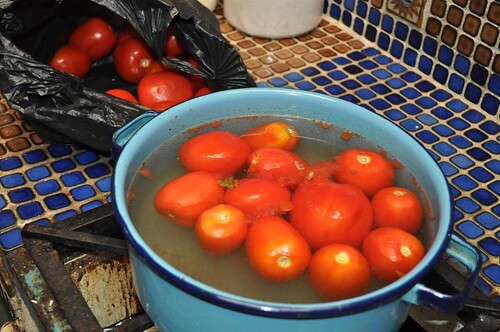 So we bought boxes of tomatoes to preserve them so that during their most expensive time we can still enjoy salsas and tomato sauces for pasta without paying nearly six times as much as we can pay right now. 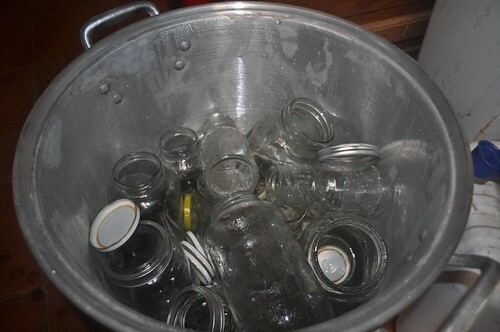 This year we made two types of sauces, and skipped canning whole or diced tomatoes. 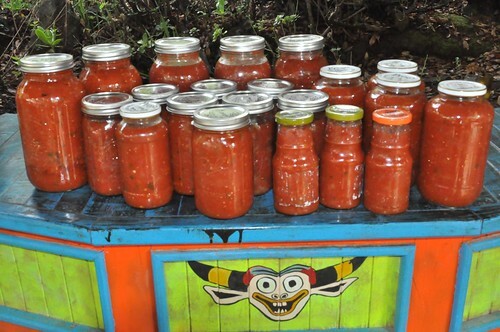 We made about 10 quarts of savory sauce for pasta or minestrone soups, and 15 quarts of spicy salsa for tacos, chips, or Mexican style soups. You are currently browsing the News and thoughts from the Bosque Village weblog archives for July, 2010. Entries (RSS) and Comments (RSS). 18 queries. 0.354 seconds.